In our previous posts, we’ve shown how to apply, edit, and create styles. This tutorial will show you how to display the styles used in your document in draft and outline view. This can help you easily troubleshoot why incorrect items are appearing in your table of contents, for example. Microsoft Word has a “feature” that compresses your images to 220ppi after saving. This saves file space for your documents, but images at this resolution do not meet Graduate School requirements for printing. 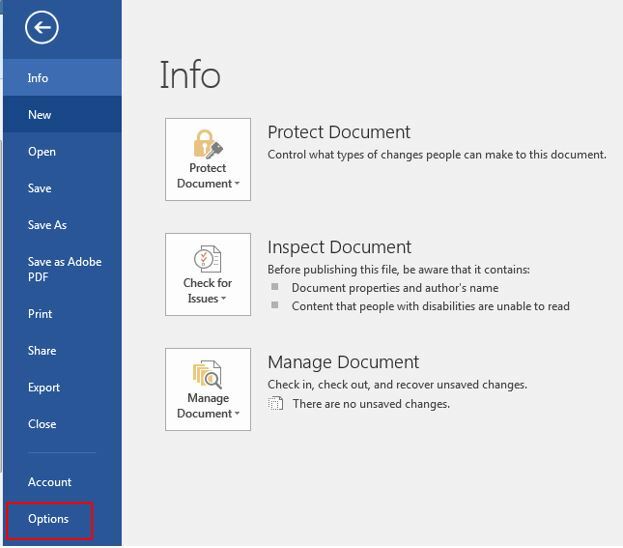 This tutorial will show you how to turn off this feature for a single document. We recommend doing all image editing in a program dedicated to that purpose, such as Photoshop, before inserting images into your Word document. Images must be at least 300ppi unless they are screenshots. Screenshots are only allowed when absolutely necessary to convey the information. All images must also be clear and readable. Increasing the resolution of a low resolution image to 300ppi will not be acceptable. First, click on the File Button and select “Options” from the left hand menu. Select Options from the pop up menu. 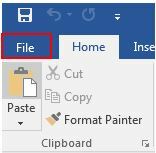 When the built in styles don’t meet your needs for formatting paragraphs in Word, you will need to create your own styles. In this example, I will create a style for my paragraphs that contain equations. Styles apply a common set of formatting to a paragraph within Word. In a previous post, we showed how to apply a style to a paragraph. This tutorial will show two ways to edit an existing style. First, edit the text as you desire. In the example below, I have edited the text “Introduction” to be a different font (Adobe Garamond Pro Bold) and size (24 point) than the original Heading 1 style. We can tell Heading 1 is applied to this text because it is outlined in orange in the Style section of the ribbon. Edit the text to meet your specifications. Styles are found on the Home tab of Word, in the Styles section (boxed in the figure below). The Styles section on the Home tab contains all of the built in styles available for use. Tabs can be used to align text in a document. This is very useful for lining up the numbers in the table of contents, equations in the body of the document, or lining up lists of items. Spaces should never be used to line up items, since each character in a font is a different width. Precise alignment of items is only possible with a tab.